From #1 New York Times bestseller Cassandra Clare and award-winner Wesley Chu comes the first book in a new series that follows High Warlock Magnus Bane and Alec Lightwood as they tour the world after the Mortal War. 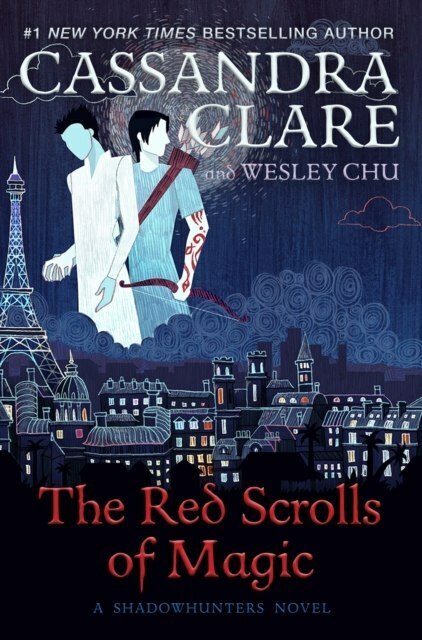 The Red Scrolls of Magic is a Shadowhunters novel. All Magnus Bane wanted was a vacation-a lavish trip across Europe with Alec Lightwood, the Shadowhunter who against all odds is finally his boyfriend. But as soon as the pair settles in Paris, an old friend arrives with news about a demon-worshipping cult called the Crimson Hand that is bent on causing chaos around the world. A cult that was apparently founded by Magnus himself. Years ago. As a joke. Now Magnus and Alec must race across Europe to track down the Crimson Hand and its elusive new leader before the cult can cause any more damage. As if it wasn't bad enough that their romantic getaway has been sidetracked, demons are now dogging their every step, and it is becoming harder to tell friend from foe. As their quest for answers becomes increasingly dire, Magnus and Alec will have to trust each other more than ever-even if it means revealing the secrets they've both been keeping.